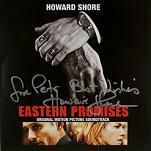 Canadian Howard Shore studied in Boston at the Berklee School of Music and worked for a time as a musician playing sax in the rock group "Lighthouse". After a few years on the road, his first screen work was for the small screen on "Saturday Night Live", before he began his film career alongside director David Cronenberg. Now both director and composer are closely associated with these landmark films with a strong suspense or horror element. 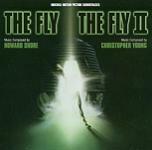 Their early films tended to be low budget affairs like "The Brood", "Scanners" and "Videodrome" but the relative success of these was such that their later films were better funded, such as "The Fly", "Dead Ringers" and "Naked Lunch". Even when Shore worked with other directors his association with horror led to more work in that genre including "The Silence of the Lambs" and "Seven", or the offbeat "Ed Wood" when Tim Burton had temporarily fallen out with Danny Elfman. 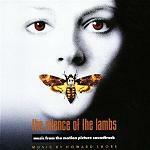 It seems as though the early period with Cronenberg may have been important for his musical development. It is certainly true that working on low-budget horror movies where the boundaries between fantasy and reality are rarely clear, offers a lot of freedom to all the artists involved, not least the composer. Shore seems to to have used this period in an experimental fashion, trying different techniques and developing a feel for what works in various situations. Within traditional orchestral scores he has mixed period styles and world music, as well as electronic instruments and sampled sounds. In interviews, the composer often stresses an instinctive approach to composition and it's tempting to conclude that he developed that approach on those Cronenberg films. However, among all the many genre films he has scored with apparent freedom, there are now many examples where he has worked on more mainstream movies where the music requirements were no doubt more strictly specified. He can obviously work admirably under these conditions and has demonstrated a versatility previously only hinted at. He has done light-hearted family movies such as "Big", "Mrs. Doubtfire" and more recently "Cats and Dogs". 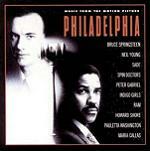 The soundtrack to "Philadelphia" is extremely memorable (with a highly successful album release) including songs by Bruce Springstein, Neil Young, Peter Gabriel and an operatic track sung by Maria Callas. 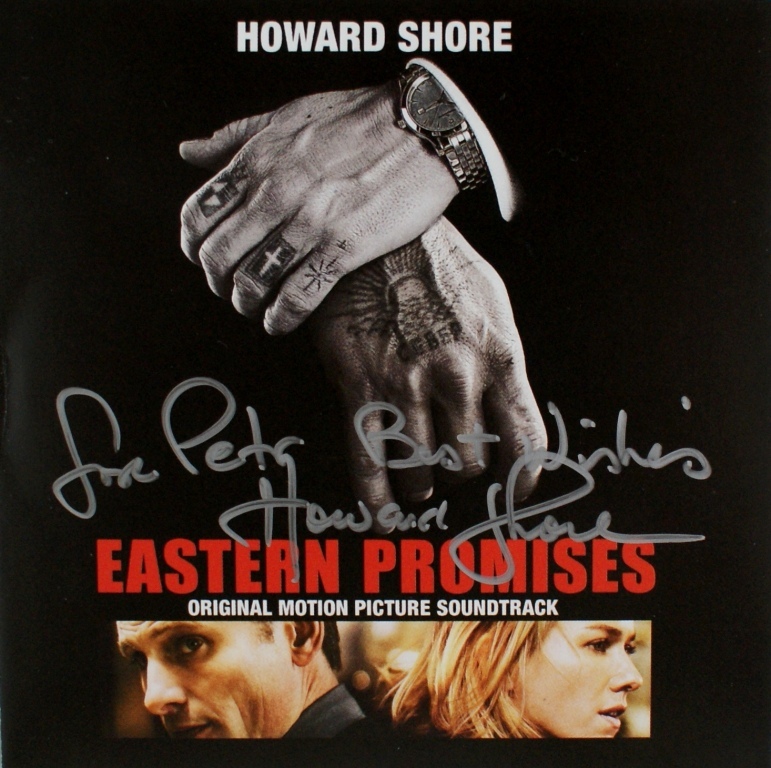 It is easy to forget Shore's contribution to this gem, with its sadness, comfort and quiet dignity, earning him the final track on the soundtrack album. Despite this substantial career grounding, it must still have come as a surprise to some when Shore was chosen for the "Lord of the Rings" films. The surpise is greater when you look back to those early Cronenberg films where the music is often a mere backdrop to the eye-catching visuals and downright weird plots. In contrast the Tolkien epics demand a much more prominent position in the finished product. These long-awaited movies are certain to raise Shore's profile in Hollywood now that he has completed the mammoth scoring task - although still to come are the extended version of "Return of the King" and a possible prequel. The first in the trilogy, The Fellowship of the Ring introduces Celtic music for the Hobbits with song contributions from Enya, and much powerful, mystical choral cues winning Shore his first Oscar. The subsequent soundtracks for The Two Towers and The Return of the King are more intense but equally worthy in musical terms with at least 95% new musical material. Given that each film is three hours long with music present for a good proportion of screen-time, the scoring task is considerable. 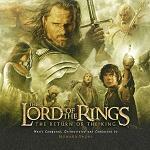 Shore has also provided music for the various Lord of the Rings video games. 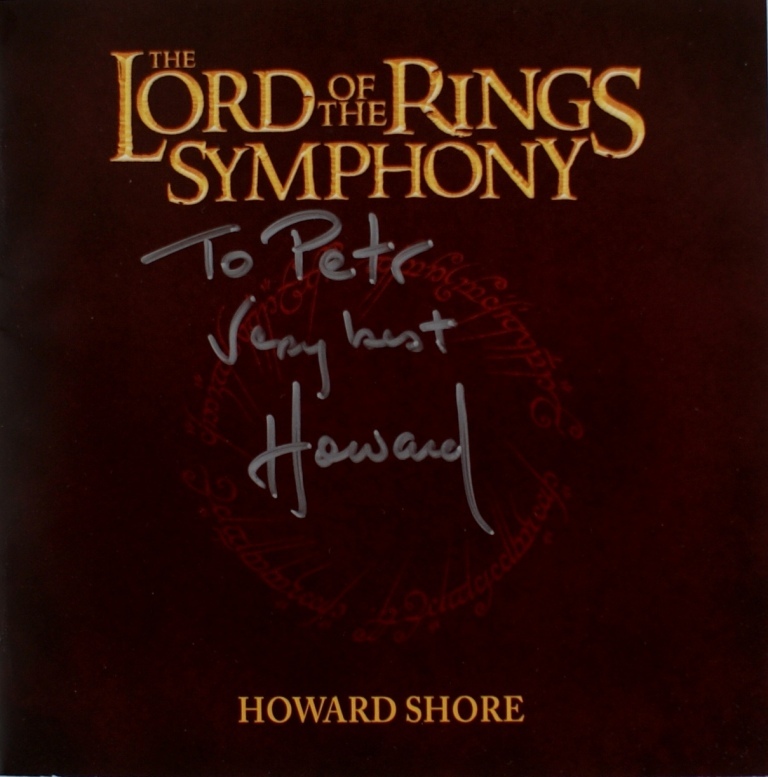 Following Shore's work for Peter Jackson on the Lord of the Rings films, it seemed natural that Shore would compose the music for Jackson's "King Kong" project, but following creative differences the film's composer will be James Newton Howard. 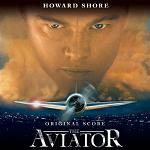 Instead, following his work on "Gangs of New York", Shore has been working more frequently with Martin Scorsese, winning the 2004 Golden Globe for Best Score for "The Aviator" and then scoring "The Departed". 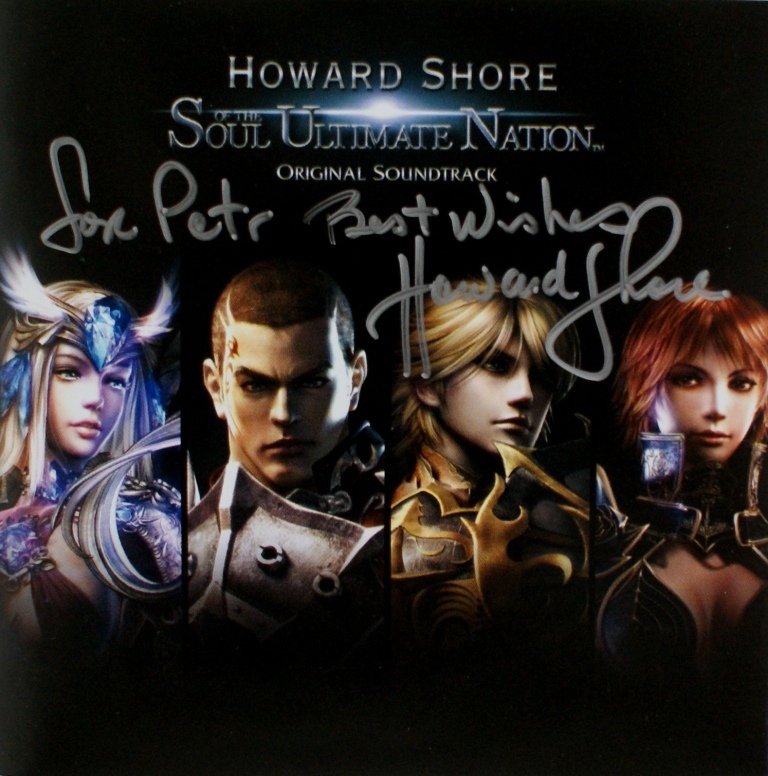 Shore has also created music for a computer game called "Soul of the Ultimate Nation" or "S.U.N." for short. 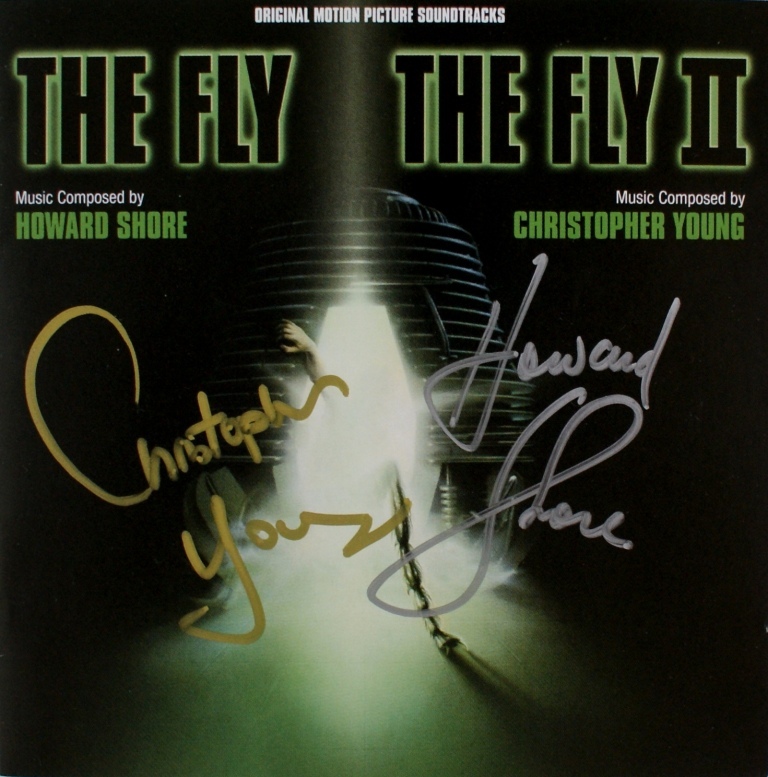 However, Shore has not forgotten his roots with Cronenberg and Horror, since the famous collaborates have worked together again on an Operatic version of "The Fly". 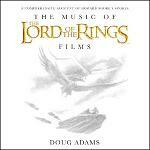 October 2010 sees the publication of a rather unique book called "The Music of the Lord of the Rings Films". 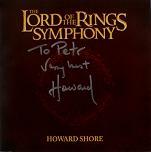 Howard Shore invited the author, musicologist Doug Adams, to observe and document his work on Peter Jackson's film trilogy. Adams did this in meticulous detail and with unprecedented access to the composer and his scores during the gestation and recording of this oscar-winning music. The resulting book is truly unique in its in-depth account of the creative process. The book includes extensive music examples, original manuscript scores, colour stills from the film and a rarities CD of previously unreleased music. 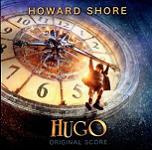 The book has a foreward by the composer Howard Shore and an introduction by writer and lyricist Fran Walsh. Check the following links for more information: Amazon.co.uk and Amazon.com. It has now been confirmed that there will be three rather than two Hobbit films, starting with "The Hobbit: An Unexpected Journey" in 2012. 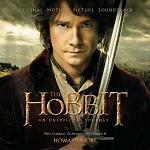 Howard Shore is due to score all three films and, after all the anticipation, fans will not be disappointed with the approach Shore has taken to the question of musical continuity with the other Lord of the Rings scores. 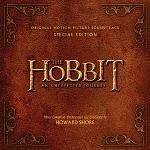 Shore reuses themes and instrumentation associated with "The Shire" and introduces new themes which will no doubt play an ongoing role in the Hobbit movies. The standard soundtrack CD is available from Amazon.co.uk and Amazon.com, and the special edition CD (with a leather style finish) is available at these alternative links Amazon.co.uk and Amazon.com. Gangs of New York - Elmer Bernstein was originally contracted to do the score, but it ended up being by "various artists" and including music from Shore's concert work "Brooklyn Heights"
Some of Shore's themes can be found on compilation CDs of well-known horror movies. "Philadelphia" is highly recommended (though noting that it only features a single track by Shore, whereas the soundtrack for "Seven" (or "Se7en") has 2 tracks by Shore. Lord of the Rings: The Fellowship of the Ring, The Lord of the Rings: The Two Towers and The Lord of the Rings: The Return of the King all come with at least 4 different covers and also leather bound versions. Below is a collection of sheet music books from the composer's film music, all arranged for piano. Sheet Music for other instruments and some arrangements for bands are also available via these searches on Sheet Music Plus and Music Room. 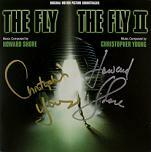 Here are some CD covers signed by Howard Shore, with "The Fly 1 & 2" also signed by Christopher Young. Our thanks to Petr Kocanda for permission to use his collection of autographed CDs. Click any thumbnail below to see the image full size in a separate window.